The Ripple Rock Racers Top Triple machined from 6061 Billet Aluminum is designed to work on CB750F from 1979-1980 (35mm forks). The triple has pre drilled mounting holes to accommodate the stock instrument mounts using our Gauge Brackets. We also offer a Key Mount to accommodate the ignition key so that the complete stock instrument/ignition cluster can bolt right on. The top triple will also adapt to commonly stocked aftermarket gauges such as our 2.25 and 1.9 inch Mini Gauges and Micro Gauges. We have mounting holes to accommodate our 2.25 inch Mini Gauge Bracket, our Key Mount and our 2.25 inch Deluxe Mini Gauge Bracket and LED Kit. 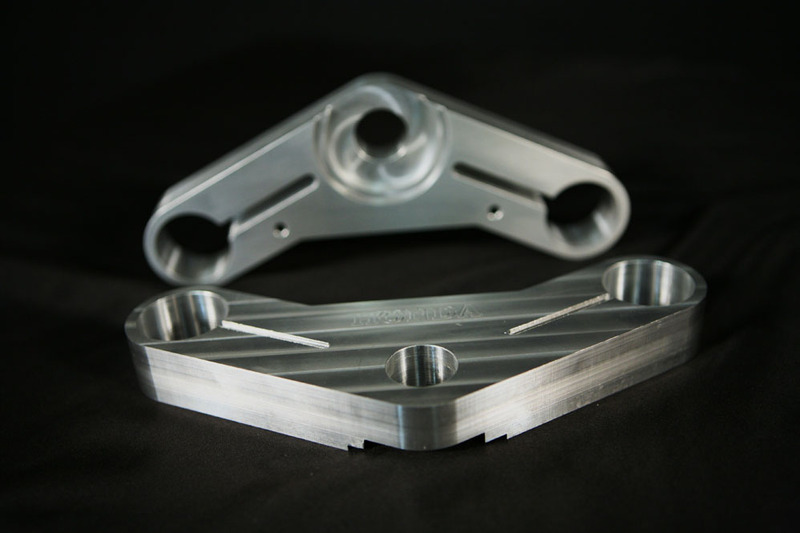 These options allow the builder to fully customize their Billet Top Triple.